On our recent family road trip, we spent a few days in Nevada in what we feel is the best family friendly hotel in Las Vegas. I was able to snag a great discount as a media representative, but we gladly would have paid full price to stay at the Embassy Suites in Las Vegas. Why? Because it was clean, comfortable, quiet and had tons of great perks that are perfect for a family on the road. 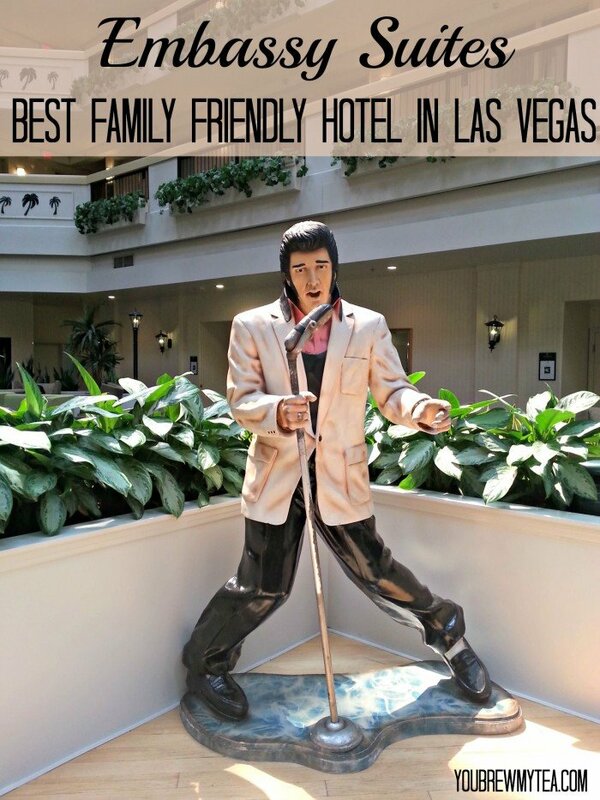 Here are some reasons we felt the Embassy Suites was truly the best family friendly hotel in Las Vegas. Every room is a suite giving parents privacy. We were on the road exactly 5 weeks. During that time, the only place we stayed with a door for true privacy was at the Embassy Suites Las Vegas. We looked back and wished we had planned better to find locations that had an Embassy Suites nearby to stay on our trip. That door was a wonderful refreshing item that helped our vacation. As parents, we sacrifice our privacy a lot, but being in a standard hotel room or guest room at a family members home often meant our son was always just a few feet away. That doesn’t allow for much romance, but also keeps us from being able to comfortably change clothes, get dressed or just have a moment or two of peace and quiet. 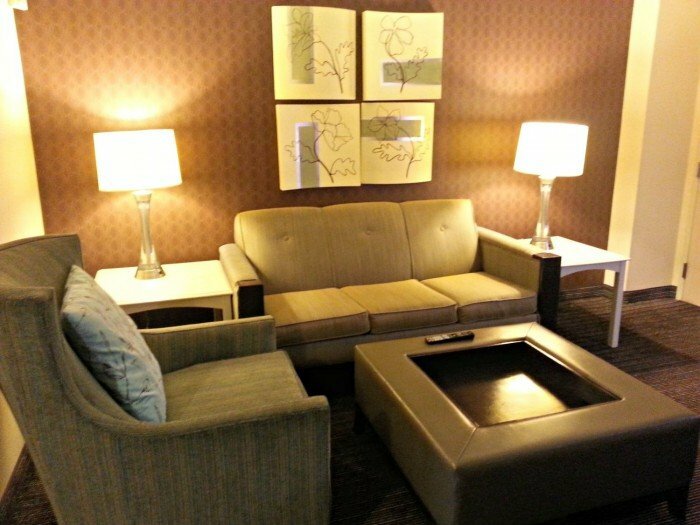 The Embassy Suites has a wonderful bedroom with a great living area that also includes a hideaway bed. Our suite had 2 beds plus the couch and could easily have slept 6 people if needed. Amazing pool and hot tub that is perfect for families. While we spent a lot of time out of the hotel exploring local attractions, there were some times when relaxing and recharging became necessary. We loved the pool and hot tub! The pool was large enough that even though other families were there, we felt we had plenty of room to swim and play on our own. A cool waterfall like feature was tons of fun for the Wee Child, and having towels handy at the pool instead of using the ones in our room made it so easy and simple to take a dip in the pool to cool off. The pool was close enough to the bar and restaurant that we could also walk inside for a quick drink when we got thirsty. Made to order breakfasts included in room rate. I’ll be totally honest – this is the best thing for our family. We have eaten at our fair share of continental breakfasts this year and they always lack something. Having an option of a hot and satisfying breakfast at the hotel at no extra cost was amazing. We can easily spend $20-$25 on breakfast if not more. This was a huge savings for a frugal family, and the food was phenomenal. 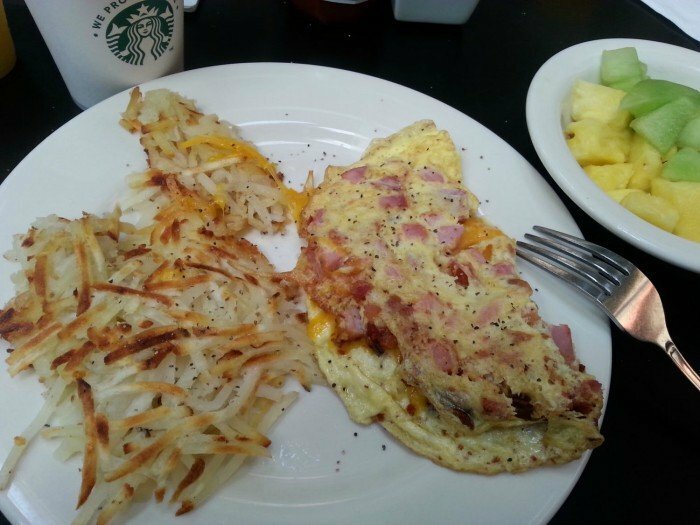 We tried omelettes made to order, hashbrowns, fresh fruit, waffles and French Toast during our stay. There were multiple options available, and the chef at the counter making omelettes was superb. He listened to our requests and made just what we wanted. Excellent room service options. The in house restaurant was superior to many places we stopped on the road. Not only could we go downstairs to eat, we could simply pick up the phone and order to have brought to our room. They had everything from the basic kid friendly chicken tenders, fries and burgers to gourmet meals of pasta and freshly seared salmon. The prices were lower than many of the places we ventured out to visit around the city, and could be eaten in the comfort of our room watching a movie or playing a game. For exhausted parents and kids, this was a huge perk. Large comfortable lobby with pond and swans. 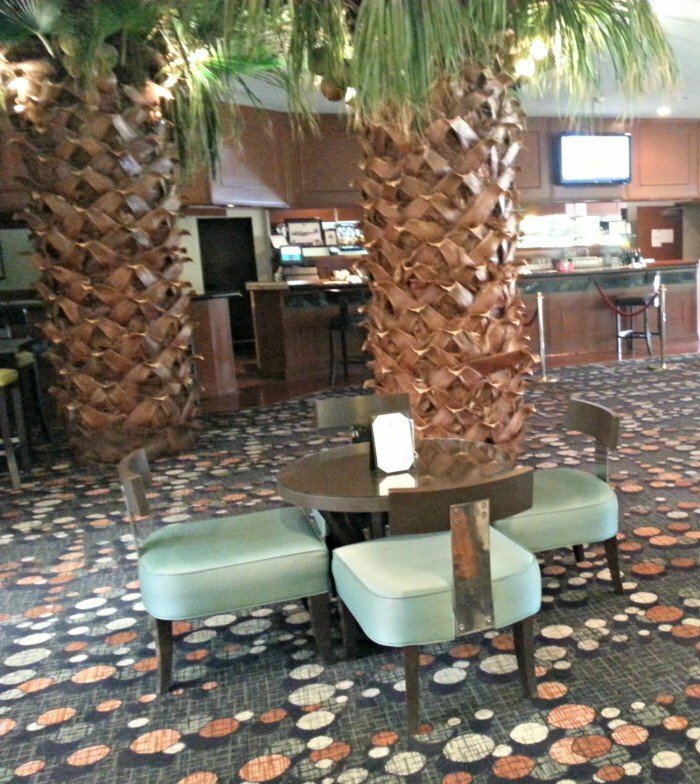 The lobby and open area of the bottom floor was a great place for our little family. Since I had to do some work while at the hotel, I knew the Wee Child would get bored. I grabbed my laptop and headed downstairs with him. I found a comfy spot at a table, and he got to wander around the pond and look at the Swans and fish. He loved the chance to explore a bit, and I got a ton of work done. The swans are named Elvis and Priscilla. Too cool! No gambling or smoking. This is the number one reason we felt the Embassy Suites is the best family friendly hotel in Las Vegas. While we might drop a dollar or two in a slot machine, it isn’t something our son can go along to do with us. It’s also one of those things that can attract a varied crowd and might not always be the most savory environment for kids. Staying in a hotel where there was no smoking (a personal pet peeve) and no gambling made our trip 100% better. We could truly go back to our room and relax, and didn’t worry about our allergies acting up from the smoke, or our son being asked to leave a part of the hotel because of his age. 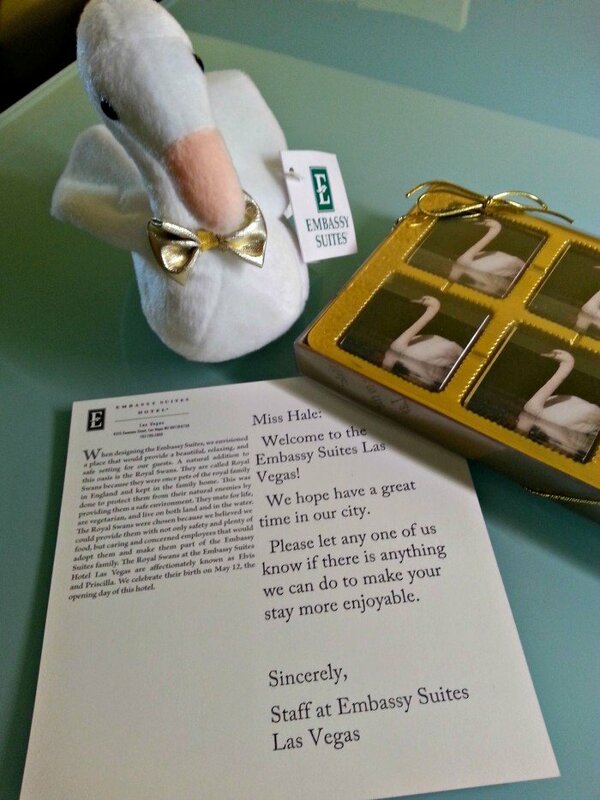 We thoroughly enjoyed our stay at the Embassy Suites in Las Vegas, and we are sure you will too. We’ll be going back again soon to check out some things we missed the first time around. The Neon Sign Boneyard is one of our must visits, and we hope to go back this fall. If you are headed to Vegas with the family, check out the Embassy Suites as a great option that is family friendly, but also offers free shuttle rides to and from the airport and strip for your convenience. Since my sister moved to Dallas a few years back, we have spent a lot of weekends finding out about these 10 Free & Frugal Things To Do In Dallas. Not only have we enjoyed time with family, but we have had a chance to check out tons of great local places to spend time for free or just a few dollars. We are always about having fun in a great city for cheap, and Dallas definitely offers that to our family. 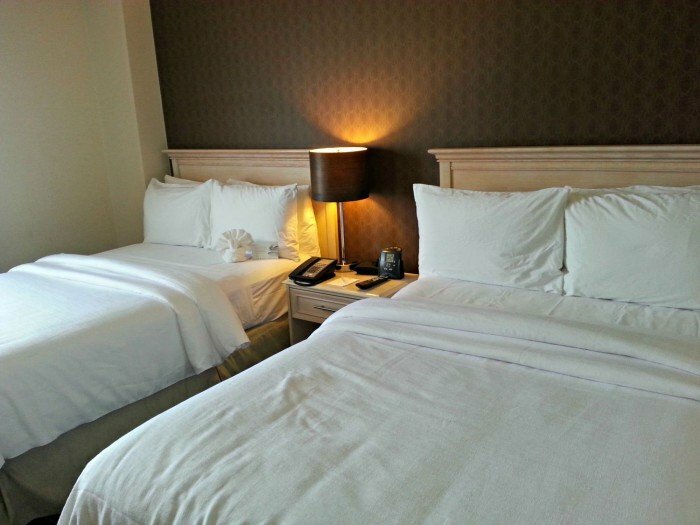 Since it is only 5 hours away from our home, it’s a perfect weekend getaway for our family. Klyde Warren Park: You’ll have to pay a few dollars to park in one of the lots a few block away, but it is well worth it. This park has a designated dog park area, food trucks around the edges, a restaurant on site, and more. We love that you can even check out books and magazines or small games from the racks in the park to use while you visit there. In the summer months there are often concerts for free as well. The best part for families? The free splash pads and kiddie park area with jungle gym and more. Yes, this is by far our favorite in the city. Dallas Museum of Art: Artists in he family? This is a great place to enjoy some beautiful local and world renowned art work for a few hours without paying a ton of money out of pocket. Its a great place to cool off in the hot Dallas summer heat and humidity. Main Street Garden Park: This is another great park that has both the grassy areas to relax with your family with the views of your favorite skyline. Dallas Farmers Market: We love going downtown to this market on the weekends. You can see local fruit, produce and artisans wares, but the best part is the restaurant inside that serves great homemade tamales. We love going late in the morning when te rush is gone, but just in time to grab a lunch plate of pork or chicken tamales as a treat. Waters Creek Mall: This area includes shopping, restaurants, condos and our favorite the creek with ducks and geese to watch. There are some park areas with places for kids to play. It’s a great place to walk around, have an ice cream cone or treat and burn off a few calories. JFK Memorial & Dealey Plaza: While you have to pay admission to visit the 6th Floor Musuem, you can park and walk around the plaza and see the memorial, information, marker on the road and sit on the infamous grassy knoll. Bonnie Parker’s Grave: Yes, the Bonnie of Bonnie & Clyde game is buried in local cemetary. Art Garden: This is a fun set of sculptures outside that you can walk around and view. Free, fun and a great place to take some fun pictures. Fort Worth Stockyards: Cattle is the big thing in Dallas and Fort Worth. It’s totally worth the 45 minute drive from Dallas proper to visit the stockyards with your kids. George W. Bush Presidential Library: No matter what your political affiliation, this is a must see in the area. Great information about the President as well as typical Texas history and library stuff you would expect. 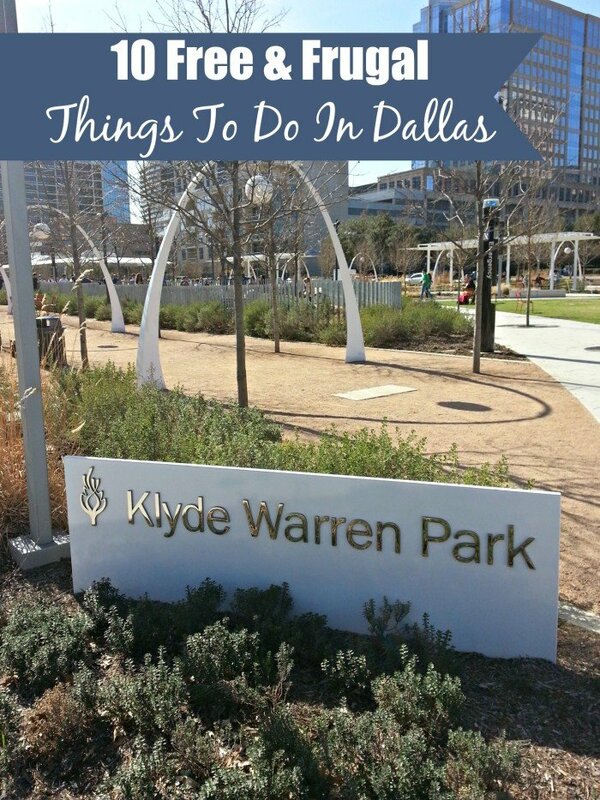 Thee free & frugal things to do in Dallas are some of our personal favorites from our many weekend getaways to the area! Don’t forget the local Six Flags Over Texas, Dallas Arboretum, Galleria Mall and other amazing local venues to visit. 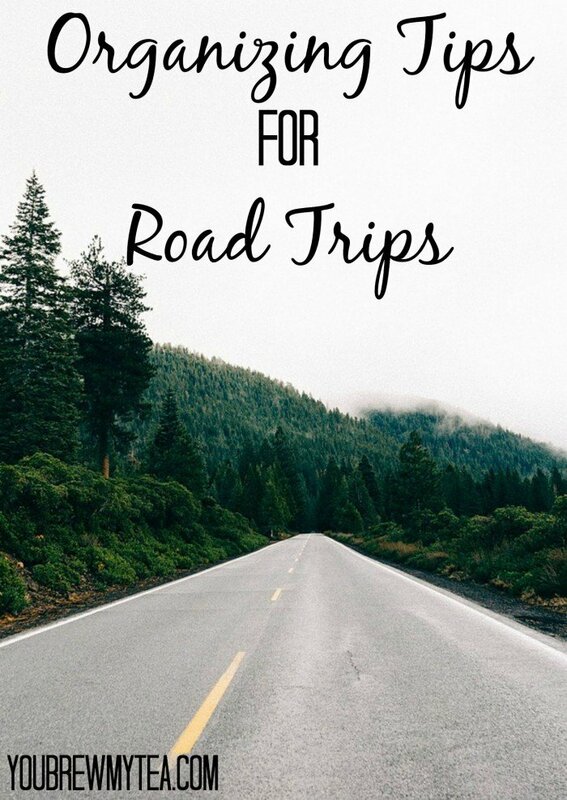 Check out some of our other favorite travel tips and locations! From energy drinks, to mints and gladiator shoes, we’re counting down 8 road trip essentials for your summer getaway. As you know we recently took a trip to San Diego for a conference and to visit family. While these tips didn’t apply to that trip since we flew – they will definitely apply to our upcoming cross country road trip to Portland. Take note of these and start packing your bag for an ultimate summer trip! 1. Comfortable shoes. Road trips are usually related to long drives. Make sure you have a comfortable pair of gladiator shoes, flip flops or sneakers. When you’re out on a road trip, it’s essential for you to dress down, but that doesn’t necessarily mean you have to look plain and boring. Just make sure you’re comfortable enough while still looking stylish. When taking a road trip I love wearing my favorite comfy sun dresses with cute sandals. On the days we are out walking around and site seeing I pull out my other comfy shoes for better support. 2. Gadgets. Mobile phones, iPods, iPads, tablets, Nintendo – whatever gadgets or handheld game consoles you have, make sure you bring them to your trip. Chances are you’ll get bored from just sitting down for hours. Plus, your gadgets can also work as your GPS device. Get ready to set your fun and upbeat playlist, too. Don’t forget to pack your chargers and extra batteries too! Nothing like being in the middle of a game, book or movie when the device dies on you in the middle of a long stretch on the road. 3. Snacks. Mints, candies, chips, chocolates and cookies are just some of the small snacks you can bring while on the road. It’s a great idea to have something to munch on while you’re chatting with friends. We are skipping the junk food for our trip. Instead we are packing our favorite fresh fruits, veggies, yogurts and low fat cheeses in a cooler for easy tasty snacks on the road. I also plan to pack supplies to make sandwiches, oatmeal and wraps for easy healthy meals on the road. 4. Drinks. Of course when you have snacks, you also need an enough supply of drinks. Water should definitely be on your list. While some like to pack sodas, juices or sports drinks we will avoid those this trip and simply add some fresh fruit to our bottled water for a twist of extra refreshing flavor. We love slices of lemon, lime or orange in water for a bright citrus flavor. We have also added chunks of watermelon, strawberries or a few mint leaves in for a different taste. 5. First-aid kit. A lot of people forget to bring medicine and medical accessories when they travel when it should be at the top of anyone’s list. That’s because it’s possible you will encounter emergency situations no matter how little they may be. Pack a box of adhesive bandages, ointment, medicine for headache, upset stomach, etc. You know the drill, and don’t forget to bring your own prescription medication and a list of dosages with your physician and pharmacy contact information handy too. 6. Camera. It’s so easy to capture a decent photo using your mobile phone nowadays, but there’s always something that screams “vacation” or “road trip” when you have a legitimate camera with you. Great quality photos come from DSLRs while romantic, vintage-inspired ones come from Polaroid and Instax. 7. Sleep kit. Imagine 12 hours of driving and you have to take your nap before taking the wheel again. Make sure you have a neck pillow and eye mask so you can sleep well on the road. Of course, lying down on a comfortable bed is definitely more comfortable and relaxing, but these items will keep you rested on the road. I also like to include a light throw or blanket since some like the car cooler than others while traveling. 8. Toiletries. Bring your toiletries wherever you go. This should contain a couple of packs or rolls of tissue, wipes, liquid hand soap, hand sanitizer and your toothbrush and toothpaste. You’ll never know when you need a bathroom break along the way. Plus, some convenience stores sell packs of tissue at an expensive price. Better be prepared early than lose a few dollars which you can spend on much important items. Sure you think you won’t need it, but when you are on the road – you never know the conditions of the rest areas or bathrooms you will use. Having your own supplies will make it a lot easier on everyone in those tough spots. 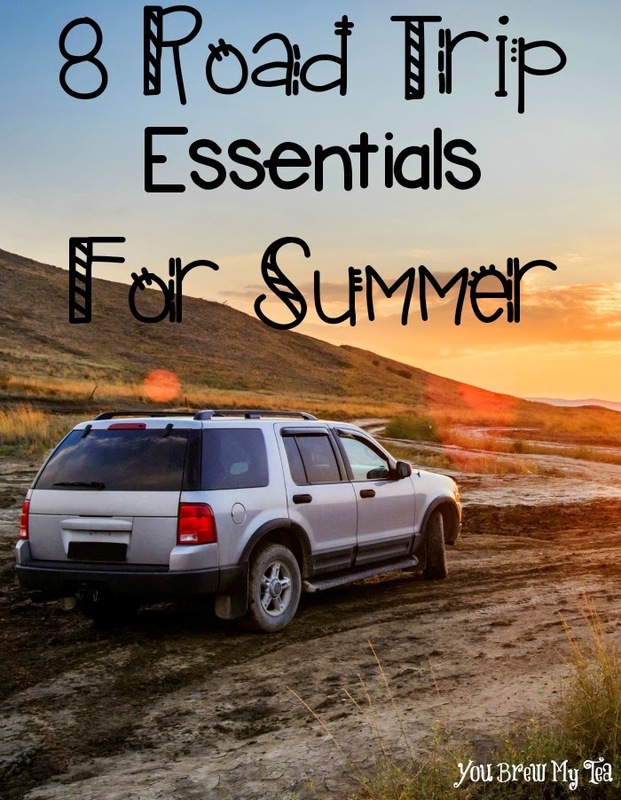 This year no matter where your road trip takes you don’t forget to pack these 8 road trip essentials for summer. Not only will they make your trip easier, but they will provide you with peace of mind when you leave home behind. Great tips to keep in mind for a quick weekend getaway or a long cross country excursion like our upcoming trip will be.